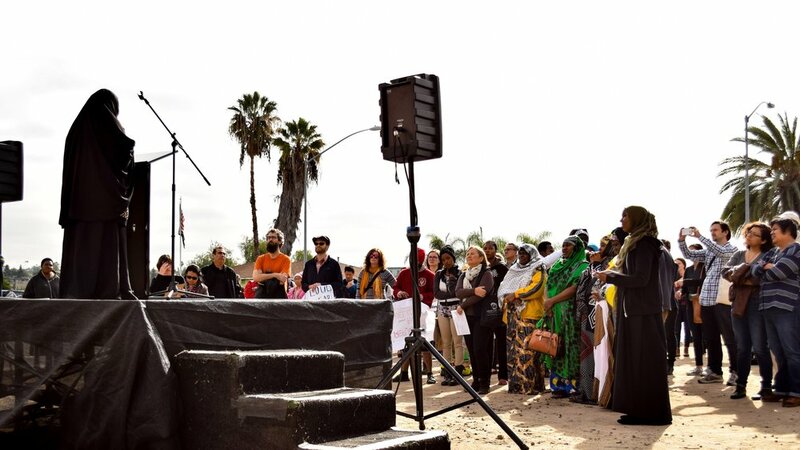 San Diego’s interfaith community, civil and human rights groups, labor and social service organizations, and compassionate individuals joined together to affirm our commitment to make San Diego a safe haven for refugees and immigrants from around the world, especially those fleeing a crisis of violence, natural disaster, and persecution. 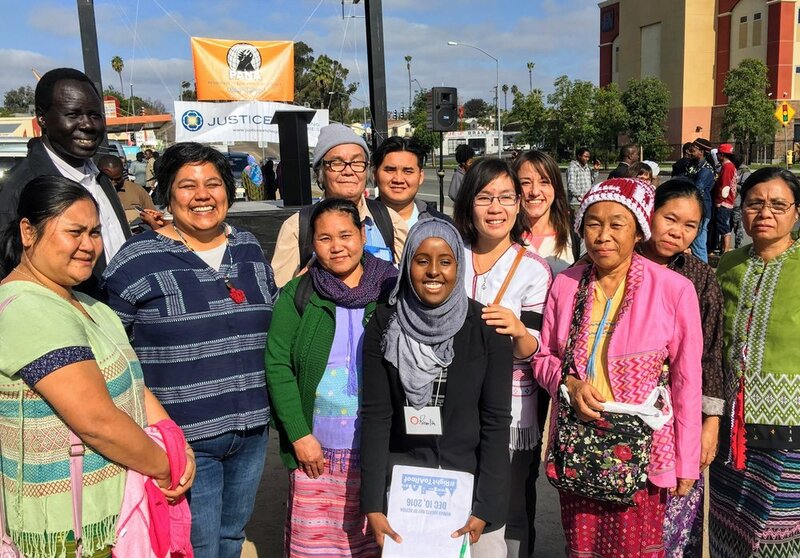 As a border community greatly enriched by immigrants and refugees, we affirmed the dignity and humanity of all of our families, including torture survivors, refugees, immigrants, people with special medical needs, women who head households, unsheltered people, and children, all of whom deserve to have their voices heard and to have a government that is responsive to their needs. 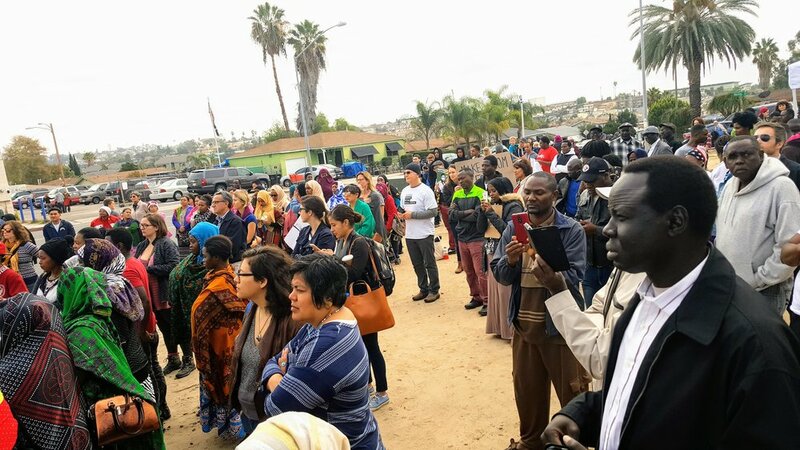 Refugees and immigrants in San Diego are at the forefront of the regional housing crisis, often forced to live in substandard conditions, fighting slumlords and living as ‘hidden homeless,’ crowding homes to ensure families and friends have a place to stay. The #RightToARoof campaign will focus on improving housing for all, especially our most vulnerable. 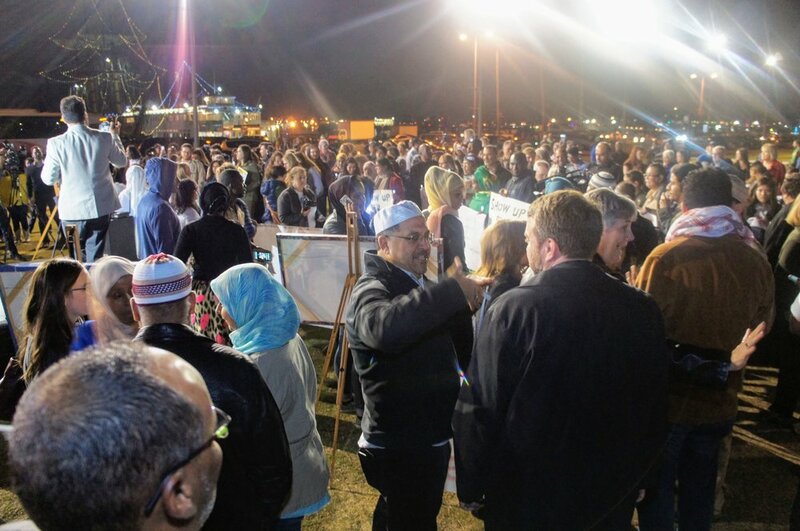 On a Thursday night, over 350 San Diegans from the interfaith community, civil and human rights groups, labor and social service organizations, and compassionate individuals came together to affirm our commitment to make San Diego a safe haven for refugees and immigrants from around the world, especially those fleeing a crisis of violence and terror. At the Partnership for the Advancement of New Americans (PANA), we’re standing for positive, responsible, and fact-based policy upholding our fundamental American values. Because we know, when refugee communities are a part of our democracy, enriching diversity, and strengthening our economy, we all win. and have began to change the conversation in San Diego. We can't afford to stand by as our society scapegoats Muslims or be spectators as our country turns its back on refugees. 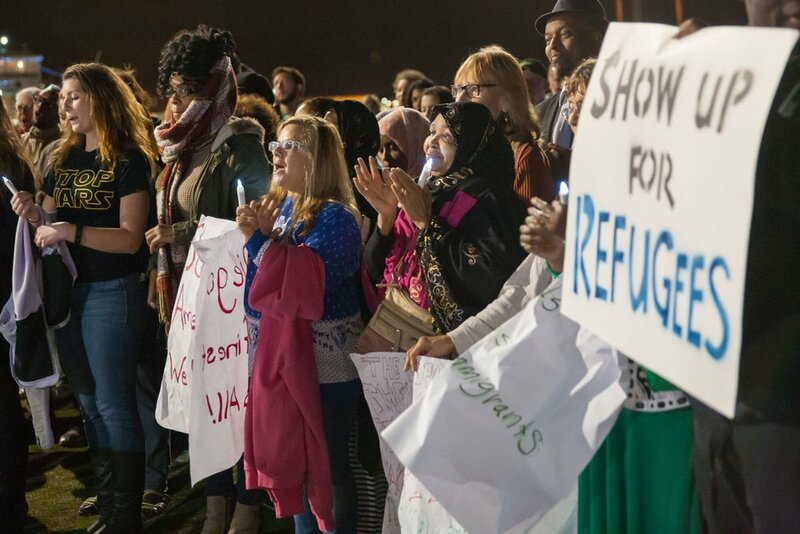 We need you to #ShowUp4Refugees. Now is the time to invest on the ground. Please consider supporting our work by becoming sustaining donor to grow our movement.